Following teaser videos for "Mad as Hell" and "Velvet 4 Sale," Meg Remy has announced her next album as U.S. Girls. 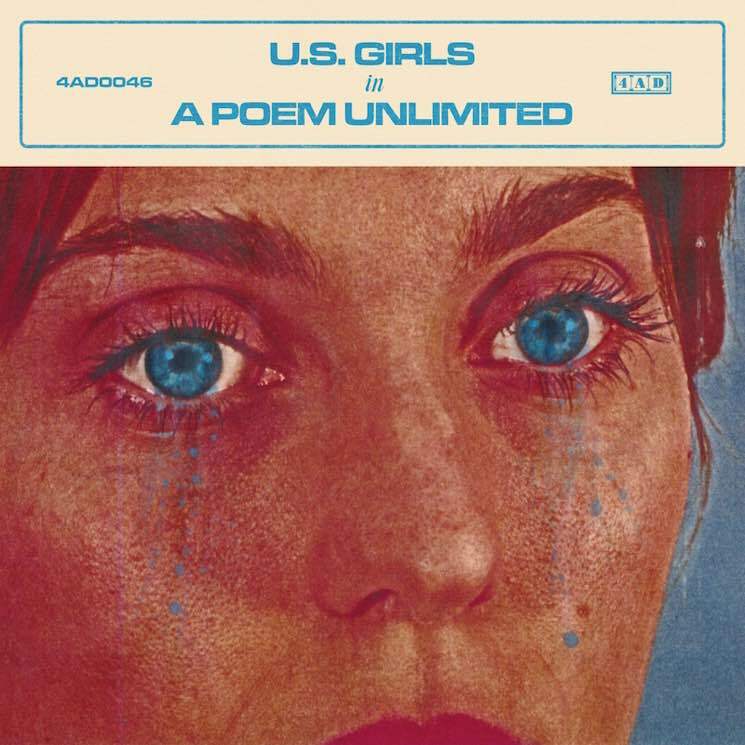 Titled In a Poem Unlimited, the record is due out on February 16 via 4AD/Royal Mountain. The new LP was recorded with Toronto-based instrumental collective the Cosmic Range, and it features arrangements from Remy's longtime collaborators Maxmilian Turnbull and Louis Percival. Remy co-produced the album with Steve Chahley, and the final product hears U.S. Girls exploring the dark aftermath of acts of violence. Remy's songs tell stories of women struggling to gain and exert power, and also fight against the lies publicly projected by political and religious leaders — all the while calling into question "the lies we tell ourselves in order to survive." Sonically, Remy and her collaborators draw on disco and funk influences, though the foundations of the record remain rooted in "earnest synth anthems." In a Poem Unlimited marks the follow-up to 2015's Polaris Music Prize-nominated Half Free. See the full tracklisting below, then hit play to revisit the video for "Velvet 4 Sale."